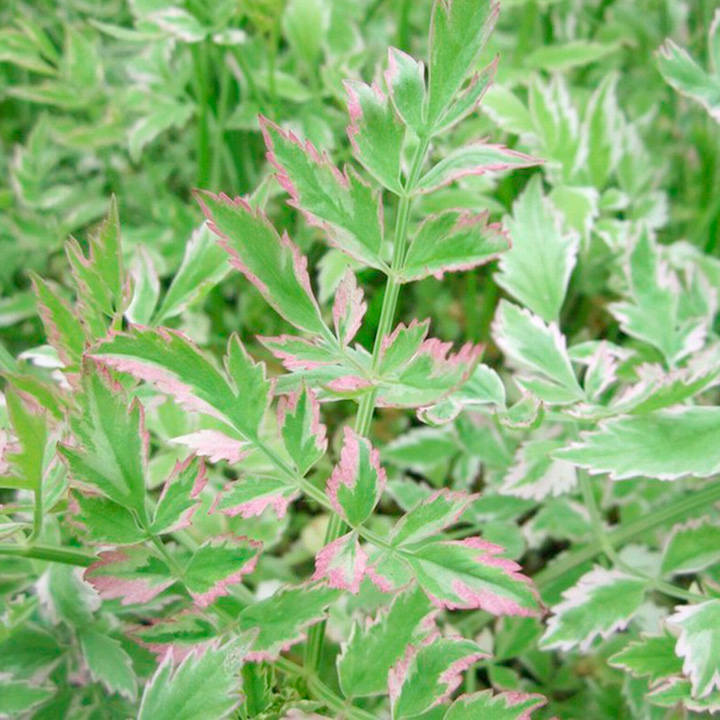 The beautiful tricolour foliage is pink, white and green in spring, maturing to a darker green and pink in autumn. 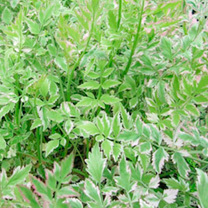 Tiny, creamy white flowers in umbels appear in mid-summer. 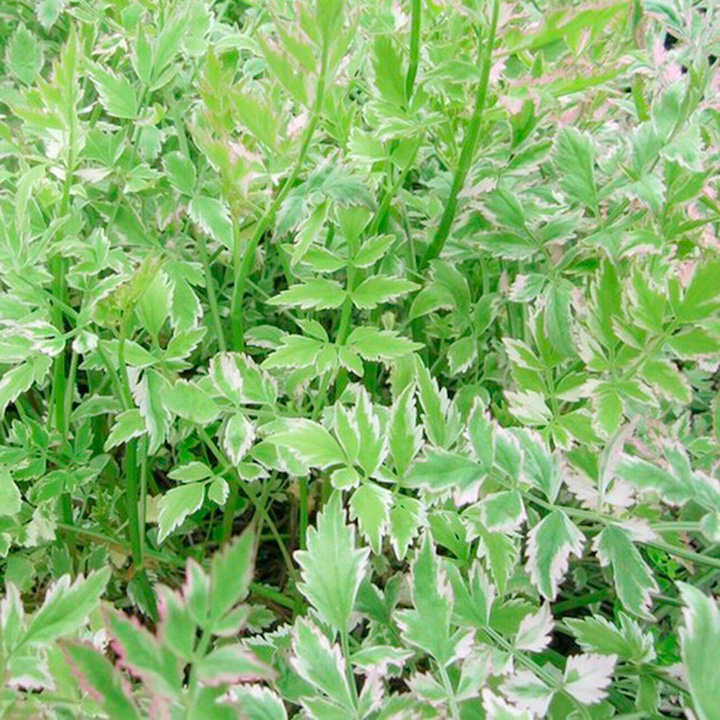 This plant can be trimmed as required at any time during the growing season. Minimum height 30cm; maximum height 40cm. Minimum depth 12cm. Fast growth rate. Available in two pot sizes: 3 x 9cm pots or 1 x 1 litre pot.